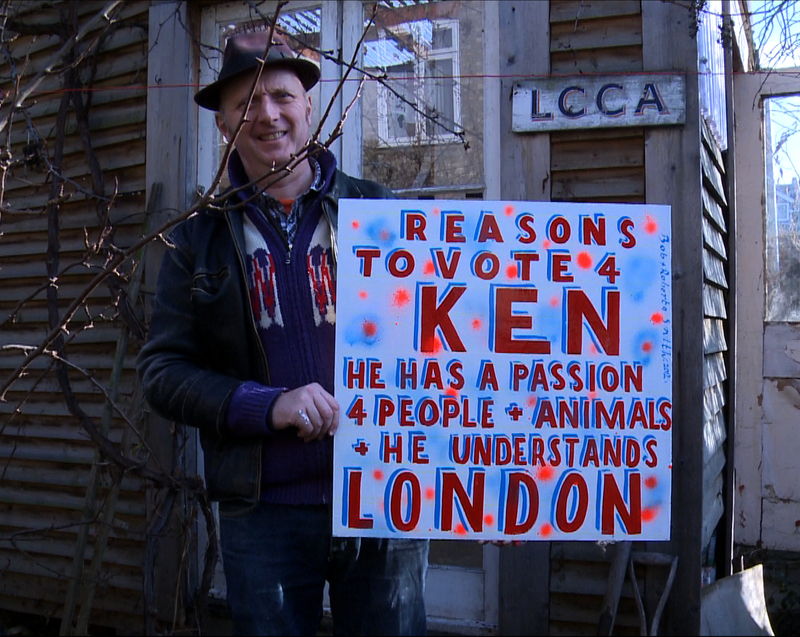 Sitting back and just letting the work speak for itself is an ethos shared by Leytonstone painter and trustee of the Tate Gallery, Bob & Roberta Smith (in reality one person called Patrick Brill but known as Bob) and documentary film maker John Rogers, who chose to record the artist at work. John’s film, Make Your Own Damn Art, premieres at The East End Film Festival. “Bob and I live a couple of streets apart and I first became interested in his work after seeing a poster for his Leytonstone Centre for Contemporary Art on the tube platform,“ says John. “Filming began in a mad way, which indicated the way it was to carry on”. Used to having time to plan out and script his documentaries, John found himself thinking on his feet while working on the Bob project. “He’s a one-man art industry and within a day and a half I had six or seven hours of footage. He was incredibly open, we never had a discussion about parameters and built up trust quite quickly.“ A fair proportion of the film is shot in Leytonstone in and around Bob’s studio, the Leytonstone Centre for Contemporary Art. “Bob’s work is all about people making their own art and being in charge of their own gallery. “There’s a collaborative element in what Bob does that everybody else is taking part and the works are open-ended, so there’s room for people to join in. It’s very rare to meet people who have an ideology that is in public domain and who genuinely believe and are passionate about art belonging to everybody and the artist is peripheral.